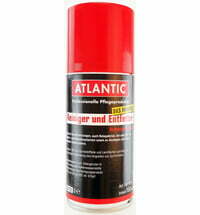 The Atlantic Petroleum GmbH is a shareholder-owned company in Dollern near Hamburg, Germany. The company focuses on the manufacture of cleaning and care products for the bicycle sector, in the filling of liquid and paste-like products based on oil and in the manufacture of lubricants for the industry, the automotive sector and private use. 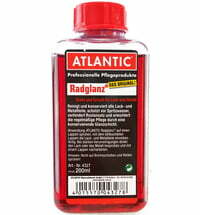 Sustainability, projection and vision, combined with over 90 years of experience, make the Atlantic GmbH a market leading company, whose products and processes enjoying a high reputation worldwide. 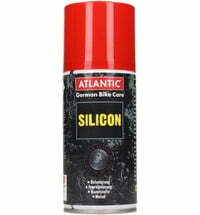 Millions of cyclists and bikers all over the world know and appreciate ATLANTIC products when it comes to reliable maintenance or the care of their bikes. Since 1922 the company producing high-quality products and develop continuously innovative products. Basis of success is the use of best oils and raw materials to match these to the needs of discerning customers - easy to handle and reliable even under extreme stress. If it was many decades ago just the famous drop of oil, the requirements have increased with the progression of the technical possibilities and needs and have pushed the developers. Today there are more than three dozen product lines for cyclists or bike professional to the specific needs available. To meet the high quality demands, products of the brand ATLANTIC are exclusively available at special dealers.